Dealing with an anxious child can be heart-wrenching. We are living in complicated times, and children are challenged with mature social, emotional, and developmental issues earlier and earlier. Whether it’s in response to a school lock-down drill to practice emergency preparedness, bullying in a peer group, or the death of a loved one, children today frequently exhibit signs of anxiety. While a parent’s instincts may suggest being protective to minimize a child’s distress, doing this can actually worsen anxiety in the long term. Helping children understand anxiety – and encouraging them to face their fears – can be a much more effective approach than constantly solving problems for children or avoiding everyday situations that cause anxiety. 1. Break the cycle of anxiety. When a child is worried about something – going to school, for instance – she may exhibit anxious behaviors such as crying, screaming, and pleading to stay home. When parents allow the child to stay home, the anxious behaviors are rewarded with a temporary sense of relief, which ultimately feeds the school anxiety. As a result, parents and children often find themselves in a negative cycle of anxiety and escape/avoidance behaviors. A key aspect of helping an anxious child overcome debilitating anxiety is helping her face, rather than escape, her fears. 2. Anxiety is a survival emotion. Everyone has anxiety, and it’s not all bad. Anxiety is actually a survival emotion. It alerts us to impending danger or important things in our life. If you see smoke coming out of a window, or when you have an important deadline to meet, anxiety prepares you for fight or flight. The goal in helping an anxious child is not to eliminate anxiety, but to help him manage it. By doing this, the child learns to function despite the anxiety, which then decreases over time. For some children, anxiety can be an oversensitive false alarm that goes off even when there is no real danger or threat. It’s like a smoke detector that goes off when the toast burns. To calm their anxious child, parents may use this analogy, as well as statements like, “I understand that being anxious or scared does not feel good, but it’s not dangerous.” Such statements are considered crucial cognitive restructuring strategies, or thinking skills, that help modify the unhelpful ways of thinking that trigger anxiety. 3. Anxiety stems from distorted thinking. Anxiety is always a result of a combination of two errors in thinking – overestimation of threat and underestimation of coping abilities. A child who is anxious about a performance onstage, for example, may worry he will absolutely forget his lines, everyone will laugh, and he will feel mortified. Likewise, a test-anxious child may habitually feel certain she will fail a test, despite preparation, and her future prospects will be ruined because she will never be successful at anything. The thinking errors underlying this anxiety are not usually corrected by reassurance and positive statements, i.e. saying things like, “Don’t worry, you will do a stellar job on your test!” However, teaching a test-anxious child to identify and examine her thinking about her fears can help. She can be taught to challenge and change her beliefs to reflect more realistic or accurate thinking. Instead of reassuring a child that she will do well, try helping her understand that she is unlikely to fail because she has prepared and studied. If she does perform below expectations, it’s not the end of the world, but rather a problem to be solved. 4. Coach your child to take baby steps. You can help your child take small steps in practicing confident behaviors that diminish anxieties. For example, a child who is afraid of dogs might start by watching videos of dogs. Gradually, he may try being in the same room as a calm dog on a leash. Then the child may practice approaching the dog to pet it. A child who is afraid of performing on a stage could practice performing in front of family members first. It’s important to note that children need more practice, not less, of these brave behaviors that involve facing their fears. This helps them build confidence and self-efficacy (belief in their ability to succeed in specific situations), and the anxiety subsequently diminishes. With each success, it is important to celebrate brave behaviors. 5. An anxious child often has an anxious parent. One reason anxious parents tend to have anxious children is that anxiety runs in the family. Another is that parents may model their own anxious or avoidant behaviors. Parents who exhibit anxious behaviors themselves may also be more likely to overprotect or rescue their children by accommodating their fearful behaviors. It’s important for parents to be aware of how their own anxiety is triggered when a child is anxious, and find ways to manage it. For parents, this may include learning (and practicing!) their own coping strategies or seeking professional help. 6. Know when to get help. Anxiety is a normal aspect of growing up. Most children outgrow developmental fears such as fear of the dark. Children may also experience normal situational anxiety while studying for tests, or after dealing with a stressful life experience. A professional mental health clinician ought to be consulted when anxiety is out of proportion to the situation, and it is persistent despite support and reassurance. Research shows anxiety is one of the most readily treatable psychological disorders. 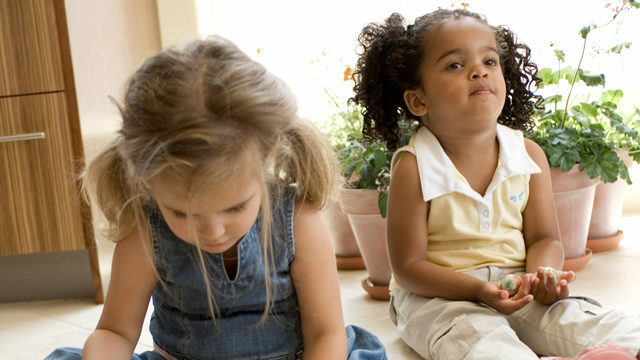 Psychotherapy or counseling can help children build their competence in anxiety management. Medications are also an option if talk therapy is not fruitful in decreasing anxiety. Together, these interventions can effectively help many children overcome anxiety and live a happy life. Jaee Bodas, PhD, LCP, specializes in childhood anxiety disorders and helping families of medically ill children cope with their child’s medical condition. She sees children from three to eighteen years of age at the Children’s Hospital of Richmond at VCU’s Virginia Treatment Center. She lives in Short Pump with her husband and two children.